OMGosh, this is sooooo cute! Love the colors you used too! And your so cute!! 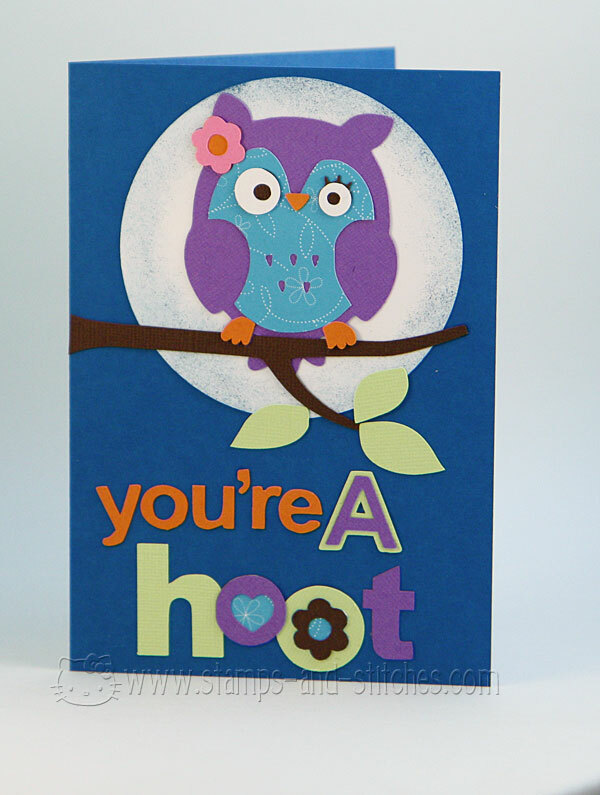 :) love this purple owl. So adorable Gale! I really need to make some owl cards for my hubby as he loves owls. Thank you for the inspiration! Love your lettering. This is so CUTE! I love how you made it so bright and cheery! Darling!! The purple owl is very cute. That owl is so stinkin' cute. Love it. Great color combo too. Cute owl! Love the way you made your letters. I think the birds are adorable! Love this. Do you still use your cricut now you have a shillouette?